Through the German embassy in Washington D.C., German foreign secretary Arthur Zimmermann sends a secret telegram to the Mexican government, proposing to aid Mexico in regaining "lost territories" from the U.S., referring to Texas, New Mexico, and Arizona. The telegram was intercepted and made public by March 1, 1917. The United States severs diplomatic relations with Germany. The Second Battle of Kut (Al-Kut) begins. It will end tomorrow, February 23, 1917. The Second Battle of Kut (Al-Kut) ends. It had begun yesterday, February 22, 1917. Riots break out in Petrograd (St Petersburg), Russia. The first part of the Russian Revolution of 1917 begins. China severs diplomatic relations with Germany. Tsar Nicholas II of Russia is forced to abdicate. The new French Minister of War is Paul Painlevé. He succeeds Hubert Lyautey. The First Battle of Gaza is fought and ends with a Turkish victory. US President Woodrow Wilson speaks to Congress, see photo on top of the page (Library of Congress.) He urges to declare war on Germany and is of the opinion that "The world must be made safe for democracy." The US enters World War I when Congress declares war against Germany. Cuba and Panama declare war on Germany. Austria severs diplomatic relations with the United States. Brazil severs diplomatic relations with Germany. The Second Battle of Gaza is fought and ends with a Turkish victory. Turkey severs diplomatic relations with the United States. Guatemala severs diplomatic relations with Germany. The Tenth Battle of the Isonzo begins. It will end on June 8, 1917. Nicaragua severs diplomatic relations with Germany. Santo Domingo severs diplomatic relations with Germany. The Tenth Battle of the Isonzo ends. The battle had commenced on May 12, 1917. Haiti severs diplomatic relations with Germany. Russia's military offensive on the Austrian front. Also called the Kerensky Offensive. Check this event in the timeline of the Russian Revolution. This map illustrates the Kerensky Offensive. Greece, now headed by the government of King Alexander, confirms its earlier declarations of war on Germany and Bulgaria, which had been issued November 28, 1916. It also severs diplomatic relations with Turkey and Austria. Siam declares war on Austria and Germany. The Third Battle of Ypres, also called the Battle of Passchendaele, begins. Battle location: Belgium. This battle will last until November 6, 1917. China declares war on Austria and Germany. You would think the guys at the Isonzo would take it slow for a while, but today they started the Eleventh Battle of the Isonzo. This battle will last until September 12, 1917. The Eleventh Battle of the Isonzo ends. This battle had begun on August 19, 1917. Costa Rica severs diplomatic relations with Germany. Peru severs diplomatic relations with Germany. Uruguay severs diplomatic relations with Germany. 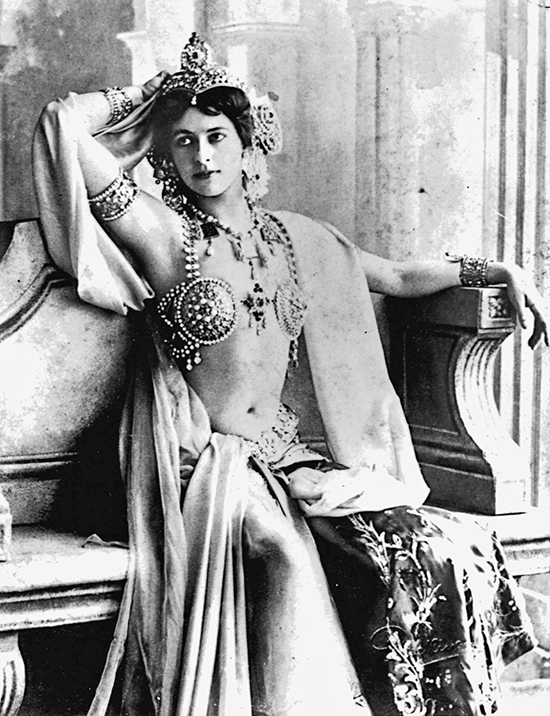 The French execute Mata Hari for spying for the Germans. The Twelfth Battle of the Isonzo, also called Battle of Caporetto, begins. This battle will last until November 19, 1917. The Third Battle of Gaza starts. It will end on November 7, 1917, with an Allied victory. In Russia, the Bolshevik Revolution begins. The Third Battle of Ypres, also called the Battle of Passchendaele, ends. This battle had begun on July 31, 1917. The Third Battle of Gaza ends. It started on October 31, 1917. The new French Minister of War is Georges Clemenceau. He succeeds Paul Painlevé. The Twelfth Battle of the Isonzo, also called Battle of Caporetto, ends. This battle started on October 24, 1917. The Battle of Cambrai begins. It will last until December 7, 1917. Battle location: Northern France. Big tank battle. 90,000 casualties. The Treaty of Focsani brings peace between the Central Powers and Romania. Ecuador severs diplomatic relations with Germany. The Battle of Cambrai ends. This battle started on November 20, 1917. Panama declares war on Austria-Hungary. Cuba declares war on Austria-Hungary.